Magento Gift Wrap extension allows customer to add Gift wrap option to products and increase web site sales.When a customer adds product in shopping cart, it allows the customer to select gift Wrap option.Once the customer selects the Gift wrap option, the system displays various images of gift wrap and then will be added as fee. Customer can also enter Gift message, like “Happy birthday Joe!”. The backend order information includes this Gift wrap along with message. 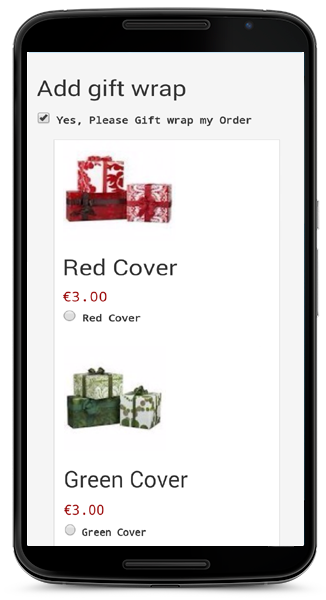 Allows to customize Gift wrap name, image and price. This extension supports any type of product. Ability to have Gift wrap option in Shopping cart page. It allows customer easily choose gift wrap option in cart page. Ideal for sending gifts to loved ones on special occasions and increase web store sales dramatically. 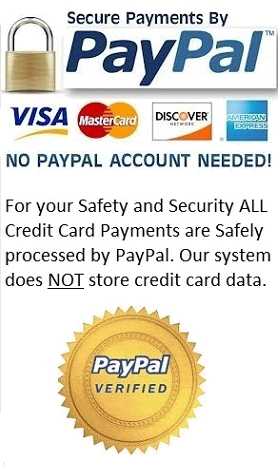 Improves Visitor to Buyer conversion rates for the web site. This extension can be easily used as extra fee module for Rush orders. It supports to have one gift wrap or many gift wrap options as per you needs. Extension can be installed quickly and ready to add gift wrap feature in your website within minutes. Thank you so much for this nice Gift Wrapper Extension. After some hints from the Global eCom support team the extension works like a charm! We feel very happy with this Gift Wrap extension. Our customers got the option of products wrapping easily now. Thank you to the Global eCom support team. Excellent job! I see both the products and images. I definitely appreciate your help. Extension looks great, I am very gratfeful. Many thanks again for your speed and quality of service. Outstanding support and services. Thanks very much for the perfect Gift wrap extension for my website. We bought the gift wrapper module and had some difficulty installing it. Shalini and the rest of the team were very helpful but in the end I ended up paying for installation. They had the system installed very quickly without any fuss or problems. The module works and looks great and they even linked in my gift wrapping products that I'd created previously. All in all great product and customer service is fantastic. Best Magento Gift wrap extension, I've seen so far. Thanks! Kind and pleasant to work with! “ We had some trouble with installation and the time difference between us (EST) and India was a factor but in the end, the folks at Global eCom worked very diligently to resolve our issue and were very kind and pleasant to work with. Easy to setup in Cart page. Great extension for gift wrap. Very Happy with the functionality of this Gift wrap magento extension. Thanks very much! Feels confident with your Gift wrap magento extension. Could see considerable increase in Sales! Perfectly matched for our website's gift wrapping needs. Thanks to Global eCom! Had few customization requirements in Cart Page for Gift wrap. Support team worked on weekend and resolved all the required customization work. Extraordinary support! Gift wrap plugin works perfectly. Very pleased with this product! Had some other extension earlier for gift wrapping. Replaced it with Global eCom Gift wrap. This is the best suitable plugin for my website. Approached Global eCom support team for installation help. Got very quick response. Delighted with the customer service. Got the gift wrapping for multi domains. It fits nicely for all of the domains. Job well done! Great products backed by amazing personalized Service. Bought Gift wrap extension and extremely satisfied with the increase in sales after installing Gift wrap. Installed Gift wrap in cart page and finding it very much customer friendly. Thanks to Global eCom team for a wonderful plugin. Purchased Gift wrap and my customers love it for it's high quality. Great job! After installing Gift wrap, could see my sales got doubled compared to previous month. Great Extension. I would rate Global eCom customer service is the best I ever had for my store. Fabulous work! “I had some problems installing Giftwrapper finding the correct maps for the files. Within seconds I got a replay on my service requisite and overnights they make GiftWrap to work! They also help me to prepare the language files because I was stupid enough not to clean the cache files. Thanks for this great component and the excellent service provided. Feels very confident! Looks good - thanks very much! Great service! hints from your supports the extension works like a charm! “Thank you for your great support on adding the Gift wrapper extension to our site and all your help for upgrading this extension for our higher Magento version. Your support and help is highly appreciated." Hi - I just wanted to thank you for your very quick and professional support. I puchased the Magento extension Gift Wrapper and had some problem integrating it myself. When I reached out for help I got it straight away in a very kind and helpful tone. With just a few emails back and forth the problem was solved and the Gift Wrapper working. "Exellcent,Thanks so much for installing giftwrapper module for me. looks great, I am very gratfeful. 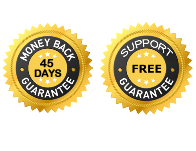 Many thanks again for your speed and quality of service"
“I would rate 5 out of 5 for the Gift wrapper and installation support.I received very prompt response during this support." Interesting Magento module, Many thanks. Waiting new and interesting Magento modules from you All the best"
"Awesome! I see both the products and images. I definitely appreciate your help. If anything your support has been tremendous"
"Thanks for your supporting me.I have asked the manual document to configure the extension"